Eric T. Lindemann joined TKWLL as a partner in 2018 and specializes in the practice of tax certiorari law. Mr. Lindemann started his tax certiorari career at Lindemann & Lindemann, P.C. He is a third-generation specialist in the field of real property tax law. He worked with both his grandfather Paul and his father Stephen to create one of the premier tax certiorari practices in New York. Beginning in 2003 Mr. Lindemann was named the president of Lindemann & Lindemann, P.C. and served in this capacity until joining TKWLL. During his tenure at Lindemann & Lindemann, P.C. Mr. Lindemann conceived of and led several initiatives which helped to obtain better real estate tax assessment reductions and improve client experience. Mr. Lindemann developed and implemented proprietary databases and computer analytics to assist in obtaining favorable offers of real estate tax assessment reductions. Throughout his career Mr. Lindemann has set a standard of excellence and client service leading to positive results and long-term relationships. Mr. Lindemann regularly and successfully argues cases before the Tax Commission of the City of New York, in pre-trial settlement conferences, and in court appearances throughout the state of New York. Mr. Lindemann’s clients have included a wide range of developers, corporations, cooperative and condominium boards, and real estate investors. He has represented and advised clients with portfolios spanning all property types including residential, retail, office, factory, warehouse, self-storage, gasoline stations, theaters, garages, medical facilities and funeral homes. He concentrates on properties located in the five boroughs of New York City and Westchester County. 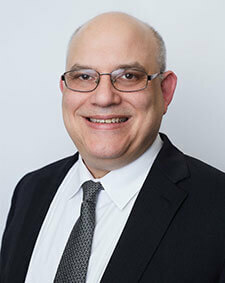 Mr. Lindemann is on the Board of Directors of the Real Estate Tax Review Bar Association. He is a member of the New York City and New York State Bar Associations. He also serves on the Board of Directors of the Hudson Chorale.